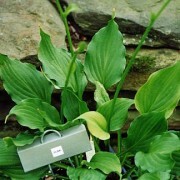 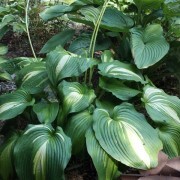 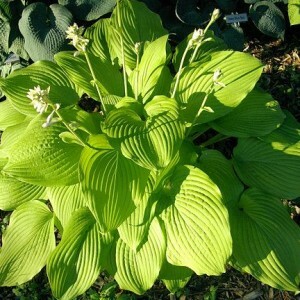 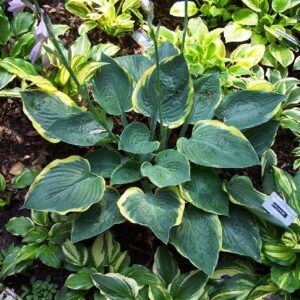 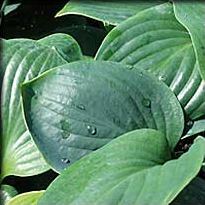 Beach Boy Hosta is a beautiful compact growing plant. 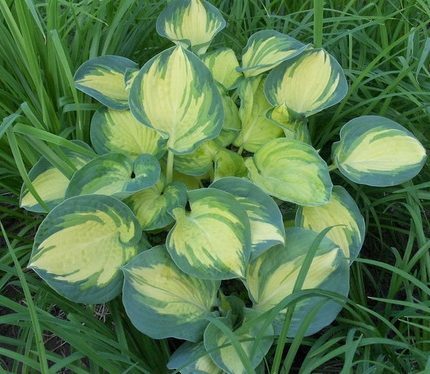 Soft yellow center with blue-green margins. 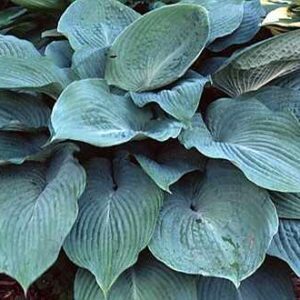 Giantland sized clump! 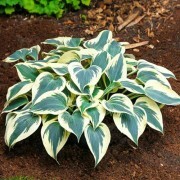 Medium: Beautiful compact growing plant. 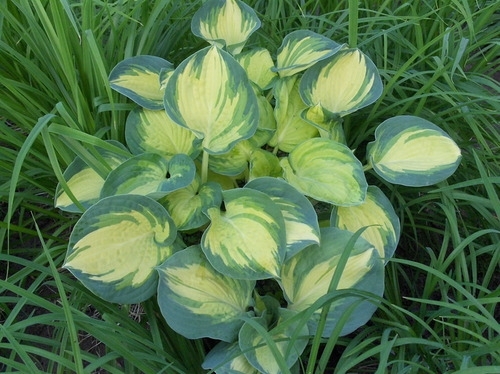 Soft yellow center with blue-green margins. 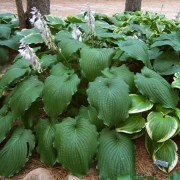 Giantland sized clump!